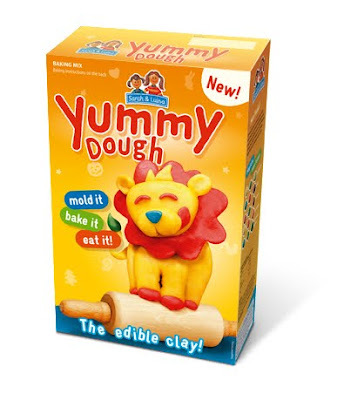 You no longer have to tell your kids not to eat the Play-doh because now there's Yummy Dough! First you play with it, then you bake it, then you eat it! Sure sounds "yummy". Grab "dough" with multiple grimy unwashed hands. Rub it and mold it into shapes on unwashed tables and floors (stray hairs equal free protein). Then eat!